Home→Genealogy→Who are Jane Grady’s parents? Many researchers run into several generations using the same name where records, like the census, do not clearly identify each person. When that happens you need to find other records to help identify who is who. 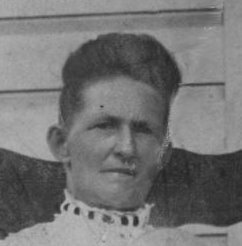 For example, my great-grandmother was Jane Grady (1859-1926). She married Jeremiah Michael Shay (1857-1937) in early 1880. Her parents, however, are a little confusing. Jeremiah Shay, who I have found in the 1930, 1920, 1910, and 1900 census is found in the 1880 census in the village of Millport, Town of Veteran, Chemung County, New York. He was living with his wife, Jane, and her parents: Patrick Grady 2nd (age 42) and Bridget (38). Since Jane was 23 in 1880, Bridget was about 15 (38-23) and Patrick was about 18 (42-23) when Jane was born. While a bit young by some standards, it is possible. The "2nd", however, interests me since the previous household shows a Patrick Grady 1st (60) and Mary (58). Doing the math for Patrick 1 and 2, it would appear Patrick 1 was about 18 when Patrick 2 was born and Mary was about 16. Again, this is certainly possible. Playing with the numbers a little more, Mary would have been 35 when Jane was born about 1857 (1880-23). In 1870 I do not find Patrick 2nd and Bridget (so far). I do, however, find Patrick 1st (age 59) and Mary (50). The "9" in 59 is hard to read so it could easily be 51. But the other years don't match for Mary. So their ages are questionable. The 1870 did not ask relationships so we do not have additional verification of what the 1880 census showed. Jane is listed at 10 years old. Since the adults ages are questionable it is reasonable to assume this whole entry could be a problem. The key point, however, from this census is that Jane is living with Patrick and Mary … not Patrick and Bridget. This census shows Jane at 8 months of age in the house with Patrick (44) and Mary (38). Patrick and Bridget have not been found in 1860 yet. Again, relationships were not identified so Jane could be Mary's daughter as the 1860 and 1870 suggest… born with Mary was 38. But the 1880 census, which did ask about the relationship of each person to the head of household, contradicts the other evidence. Mrs. Jane Shay died "very suddenly" at home on April 7, 1926. Her parents were listed as Patrick Grady and Mary Dorrity, both of County Clare. The information was provided by Jane's youngest son so we hope he knew his grandparents. This is still a murky family. Most of the records indicate that Jane was the daughter of Mary Dorrity while the one record that clearly states a relationship says her mother was named Bridget. So, what can we conclude? Sadly, little. At this point I'm leaning toward the 1880 census since it clearly states the relationship but I have not ruled out the other records. I need to find something else. And family stories don't count; most stories about this family have been more story than fact. What would you do? Where would you look next?